Today is Veterans Day. Why are we so passionate about reaching out to veterans? We witnessed a fatal accident and prayed with the man as he bled to death. It woke us up. It woke us up to appreciate veterans even more because they fought for us and saw infinitely worse things than what we saw on that day! It's time to appreciate our nation's heroes! Veterans and our servicemen and women deserve to be thanked. We must not take them for granted! We are free thanks to their courage, determination, skills, and sacrifices. 1. E-mail a veteran a note of thanks. Send an e-mail in care of a nursing home. 2. Visit a veteran- even if it's brief. 3. Call just to thank them. 4. Send a card - 44 cents could be... priceless! 5. Send a gift (i.e. candy, gift cards, a meal) to a veteran to show your thanks. 6. Start praying everyday for veterans and tell them so. 7. 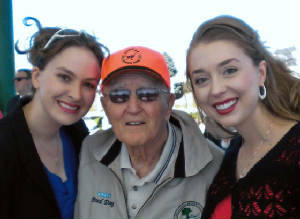 Check out http://www.amillionthanks.org/ to learn even more ways to thank our current servicemen and women! Even if it's hard for a veteran to talk about the war, it's important for a veteran to hear your gratitude and know you care. Thank you for thanking veterans. Remember, we live in the land of the free because of the brave! veterans while there's still time. A tired WWII veteran looked up from his recliner and made eye contact with me. The time had finally come to share vivid memories of the war: "I heard my friend, only 19-years-old like me; he screamed, 'My legs are gone!' Then I stepped on a mine. I felt it tear into me. I prayed...not so much for myself, but for my family...my mom, my dad. I lived...but [my friend] died..."
Such sacrifice deserves our appreciation. Let's recognize that freedom isn't free. Today, let's pause and pray for our veterans. On patriotic holidays, a lot of drinking occurs. But nothing drowns our sorrows forever. We need true spiritual water. Consider this amazing Scripture combo: "As the deer pants for streams of water, so my soul pants for you, O God" (Ps. 42:1). Jesus quenches the thirst: "But whoever takes a drink of the water that I will give him shall never, no never, be thirsty any more. But the water that I will give him shall become a spring of water welling up (flowing, bubbling) [continually] within him unto (into, for) eternal life" (John 4:14, AMP). Yet we often ignore whom we should most adore: Jesus. Will you personally invite Jesus into your heart today? Will you receive His gift of eternal life and turn from trying to do things your way? His battle-scarred hands reach out to you now. His beautiful, loving heart invites you to know true love and life in Him. Will you open your heart to His? Will you ignore or adore Him today? Remember: Jesus alone holds the power to set you free. "So if the Son liberates you [makes you free men], then you are really and unquestionably free." (John 8:36, AMP). This Veterans Day, let's thank veterans. But let's not forget our ultimate freedom-giver: Jesus Christ. 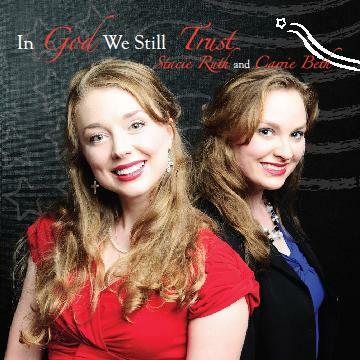 Carrie and Stacie sincerely desired to honor God and thank veterans with their mission-minded album, In God We Still Trust. After many requests for an album of their traditional and inspirational singing of patriotic favorites, the CD captures patriotism, faith, and freedom and enraptures audiences with soaring voices of passion. Stacie Ruth and Carrie Beth appear as new leaders of the post-9/11 generation. Their three octave ranges combined with their passion for Christ motivate audiences to move forward in faith! With powerful, heart-stirring songs, In God We Still Trust activates positive patriots of faith to hoist the torch of carrying God's brilliant truth to today's world. It will make you feel proud to be an American like never before! Click here to buy your copy at UnitetheUSA.org and all proceeds go to support the mission! 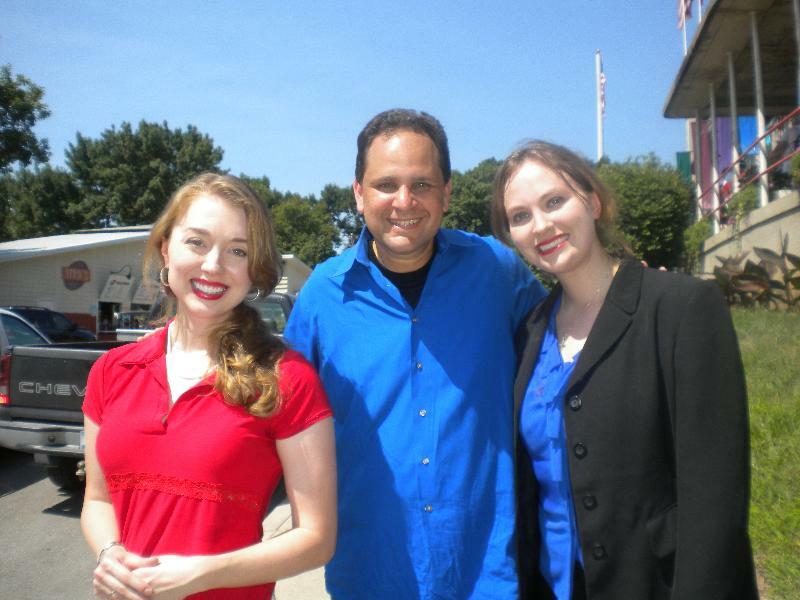 Click here to see Stacie and Carrie's interview with David Brody on the 700 Club.